“Out of Darkness: Two Remain” runs April 5-15 at Theatrical Outfit’s Balzer Theater at Herren’s downtown. Details, tickets HERE or at 404.881.8885. DEPICTING THE HOLOCAUST in the theater presents special challenges to its audiences. Feelings of hopelessness, inevitability and emotional exhaustion are likely. American composer Jake Heggie’s Out of Darkness: Two Remain crafts a different experience. It reminds us that although countless stories emerged from that dark, dark chapter in world history, they often bring something richer, more nuanced and more complicated. 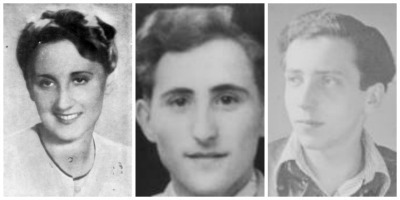 Krystyna Zywulska (from left), Gad Beck and Manfred Lewin. Out of Darkness grew like a vine from a collaboration between Heggie and the Seattle presenter Music of Remembrance. Heggie and librettist Gene Scheer first explored the persecution of homosexuals (marked by pink triangle badges). The song “A Hundred Thousand Stars” refers to the estimated number of LGBT people murdered by the Nazis. Interest in Heggie’s 2007 song cycle (For a Look and a Touch) spread, and various versions followed. It introduced the story of Gad Beck, a gay German Jew. The song cycle Another Sunrise, based on the life of poet, writer and Holocaust survivor Krystyna Zywulska, came next, debuting in Seattle in 2012. Heggie and Scheer followed that with the song cycle Farewell, Auschwitz in 2013. It’s based on Zywulska’s Holocaust-era poems. 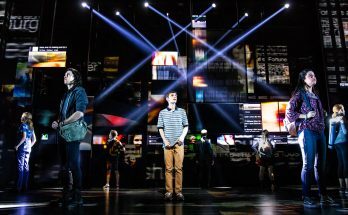 The seeds of Out of Darkness: Two Remain lay in the intrinsic theatricality of each work. 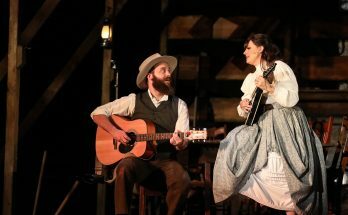 As opera-goers have come to expect with Heggie, each was critically acclaimed but had a downside: As standalone dramatic works, none made for a complete evening at the theater. Opera companies found this prohibitive. 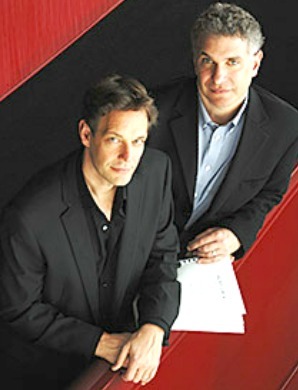 Jake Heggie (left), Gene Scheer. “I’m a pragmatist,” Heggie says. He began thinking about the synergies between the storylines — they’re both ghost stories — and realized they belonged together. Out of Darkness: Two Remain then took on a life of its own. Out of Darkness premiered in Seattle in 2016. Further revisions resulted in this production, Out of Darkness: Two Remain, which is based in part on the true stories of the Polish dissident Zywulska (1914-1993) and Beck (1923-2012). In Act 1, Krystyna shares her survival story with a journalist and is helped by the ghosts of Auschwitz inspired by her lyrics. In Act 2, Gad Beck is visited by his first true love, the poet Manfred Lewin, who died in Auschwitz. As Manfred implores Gad to remember and celebrate their love, the truth of their stories and fates emerges. Two Remain is part of Atlanta Opera’s popular Discoveries series, founded in 2014/15. It takes new works, new ideas and fresh perspectives to stages throughout the metro area, to Theatrical Outfit this time and often at the cabaret spot Le Maison Rouge at Paris on Ponce. The Atlanta Opera cast features soprano Bryn Holdworth (2016’s Silent Night) as Krysia, Atlanta actor-singer-director Tom Key (Atlanta Opera debut) as Gad Beck and baritone Ben Edquist (Atlanta Opera debut) as Manfred Lewin.